Gary, I have the pleasure of living in one of the upstairs rooms at Dr. Nygard's place. For several years now I have been trying to get to the bottom of the history of the place, for which there are conflicting stories. In the 1988 Eno River Calendar, there is a photograph of Samuel W. Sparger seated in the pre-renovation parlor in front of the massive stone hearth. At least two women's names are carved into the stones, but I believe they are associated with McCowns or Coles and not with Samuel Sparger. The rustic bench on which he sat for his picture remains. On the property are three iterations of Cole Mill Road, and the view you show faces the oldest of these on which there is a very rough cabin of balloon frame construction that sits right beside the road bed. The next version of Cole Mill Road was built across the mill race after the mill and dam were destroyed in the 1908 flood. This newer road and bridge lasted until about 1964 when the present bridge and approach were built. The old pavement, probably dating from the Kerr Scott administration and with faded yellow center line remaining to this day, though much eroded, led to a hellacious hairpin turn right at the bridge site. Dr. Nygard recalls numerous car crashes, often in the wee hours---a call to the sheriff, then going down to the bridge to see what, if anything, could be done. There is a wonderful plat drawn by colonial surveyor William Churton for 700 acres granted by agents of Earl Granville to John Scarlett. The plat shows the Eno River and its feeder Pea Creek (yes, called by that name when this was still an English colony), and the McCown-Cole-Sparger-Nygard tract was a small part of this original grant to Scarlett. It is thought that the large, white house adjacent is the mill owner's house and that the Nygard house was actually the more modest miller's residence. It's kitchen originally was a separate building, moved and attached at an angle to the existing house at the time of remodeling. Several Sparger plats are in Durham County deed registry. His holdings were extensive and covered both sides of Cole Mill Road, then and now. The plats show road configurations that are difficult to explain today. 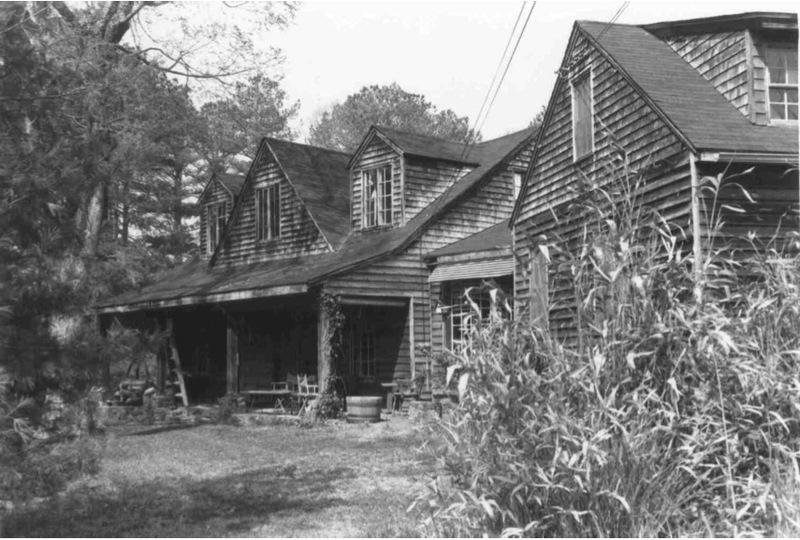 A descendant of Stephen E. Cole, son of Anthony Cole, has stated that the McCown- Sparger-Nygard home was built by Anthony Cole for his family who lived and farmed the adjacent land(s) The home in Eno River State was built by Thomas Cole for his family who had a farm on the property. the roadway to his property was built by his brother Levi Cole. There is a flue-curing tobacco barn nearby on Buckquarter Trail probably built after the Coles residence. My husband is a direct descendant of John Anderson Cole, at one time owner of several mills along the Eno River and referenced in the text above. He married Cynthia G. Warren and they had 16 children. They are buried in Pleasant Green UMC Cemetery just off Cole Mill Road. I would like to know exactly who John A. Cole's parents were, and how he may be related to the Anderson family that was so prolific in the area - grandparents maybe? I don't think John A. is the son of Anthony, so my lines are probably not helpful to you Mr. Englishman, but will be glad to share if you are interested. Does anyone have information about the old cabin rotting in the woods just down the hill from the McCown-Cole house? There is also a metal shed nearby where I found a check register with date, payee and check amount information. The checks were written in 1928. Judging by the payees and the amount of the checks, I imagine the person who wrote them was well-to-do and educated. Greg, Thanks in your interest in the McCowan-Cole house history. However, please know you were trespassing on private property. I would appreciate it if were to return any items taken from the metal shed. You can contact me at enygard@bellsouth.net. When John Cabe’s fifth daughter, Rachel, married Moses McCown in 1813, Cabe helped the couple settle on the south bank of the Eno River near a site where the water drop was sufficient to power a mill. Rachel and Moses shortly established a mill that operated first as a tilt hammer for forging metal and later as a sawmill and a gristmill for grinding wheat and corn. They also built a home that is believed to have been a four-bay, one and one half-story, gable-roofed frame house with a three-room or Quaker plan. The house is thought to have had paired front entrances; one door served a small entrance hall and the other, a large parlor. A plat of the property showing the locations of the original dwelling and a small kitchen house was made after McCown’s death in 1830. In 1874, his children sold the property to John Anderson Cole who is thought to have constructed a two-room frame house near the mill for the use of various workers. Cole is reported to have been struck blind suddenly while working in a field during a thunderstorm. Afterward his brother, Ed, and other family members ran the mill until a devastating flood destroyed it in 1908. The main dwelling, one of three millers’ houses remaining in Durham county, occupies a picturesque setting on a high bluff above the river, and it appealed to Samuel Sparger, a wealthy insurance salesman and cosmopolitan historian, who bought with it 48 acres as a retreat and hunting lodge around 1930. Initially Sparger made minor modifications to the house, among them rebuilding the stack of the massive stone fireplace in the living room with white quartz rock. He also added the outbuildings presently on the property, which include a frame one-car garage, a long rectangular frame barn and storage shed, and a log smokehouse, all ca. 1930. After an illness in his later years, Sparger married his nurse, Florence Wyatt, and in 1948, employed J. G. Jordan of the firm of George F. Hackney, Architects, to reconfigure his hunting lodge for himself and his bride. Jordan retained the Quaker plan, most of the original framing and flooring, and the four bay facade with paired front entrances though double-vertical-panel doors of the Greek Revival style had by that time replaced the first doors. Extensive renovations were made elsewhere: the living room was extended into a one-story gable-roofed wing on the rear facade; windows were replaced and added around the house; the front porch was rebuilt; three gable dormers on the front and a full-length shed-and-gable dormer on the rear were added to the loft; and a staircase was reoriented to access the loft. A diagonal ell containing a study, a dinning room, and a kitchen was added to the east facade. Interior finishing such as the wide flush wainscoting and wall sheathing throughout the house and wide-board flooring in the ell were obtained from another nineteenth-century house on the property, and Chestnut paneling was brought from Asheville for the study. In the yard, a larger garage was added, the well was covered, and a rustic octagonal gazebo was built overlooking the river. 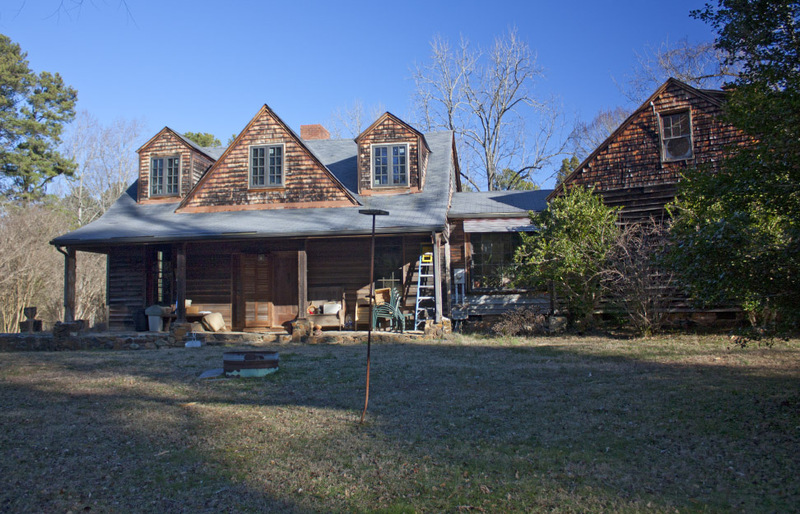 Although the house does not retain architectural integrity from its period of occupation as a miller's house, Holger and Margaret Nygard who purchased it and 13 acres of land in 1964, preserved the property essentially as the Spargers had it. A descendant of Stephen E.